Used and Histology - Micro Optics of Florida, Inc.
All creatures great, small, and micro. Micro Optics of Florida offers trade in incentives, and upon receipt of a microscope or component that can be reasonably reconditioned, we can turn these trade-ins around and offer them for relatively low cost. Often, the addition of a new camera, PC, and software licensing can enable us to offer nice turn-key systems based on refurbished microscopes at a fraction of the cost of new. 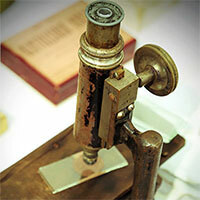 Please inquire regarding availability of our current inventory of used microscope products. Additionally, some histology equipment remains from the time in our company’s history when we specialized in such equipment. If you are looking for demonstrator models of Leica or YIDI histology equipment, we may be able to give you a great deal on our excess inventory!